AWARD winning LED specialist MHA Lighting is helping NHS Trusts fight hospital acquired infection rates with revolutionary new sealed lighting units. MHA Lighting’s patented LED technology has been designed as a fully sealed unit to stop dust, bacteria and dead insects from gathering around warm light fittings and spreading deadly superbugs. The LED’s 60,000 hour life span (seven years) also eradicates the needs for routine maintenance and bulb replacement which again stops harmful bacteria from being distributed into the atmosphere. 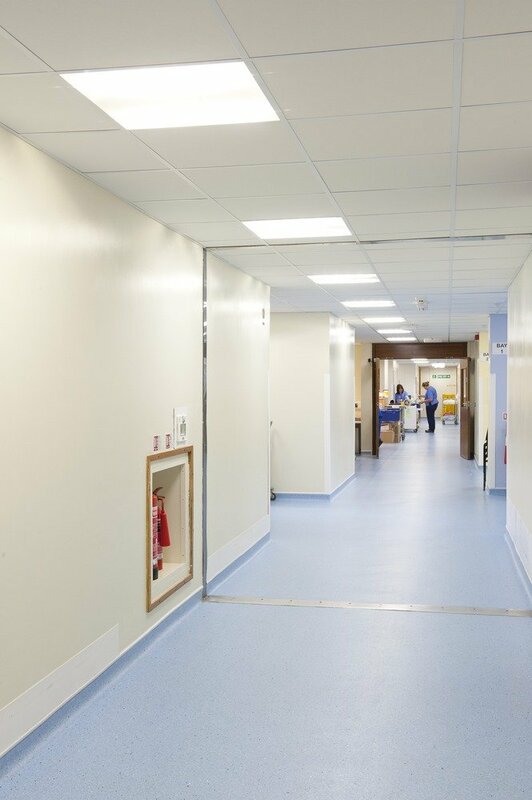 MHA Lighting MD Tom Harrison said: “Not only is the NHS saving money on operational costs for routine light maintenance, but our LED’s burn 20% of the energy of traditional fluorescents. 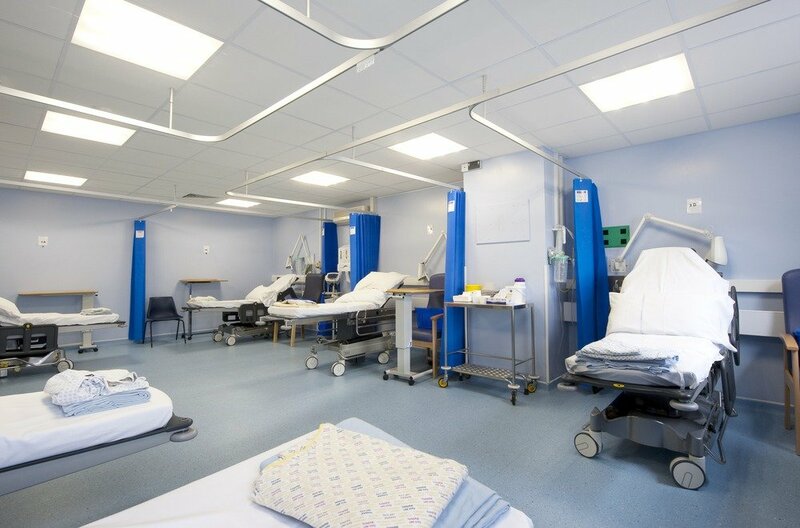 “At a time when the Government has set the NHS tough targets to reduce CO2 emissions, more energy efficient lighting is paramount in saving money and reducing a Trust’s carbon footprint. 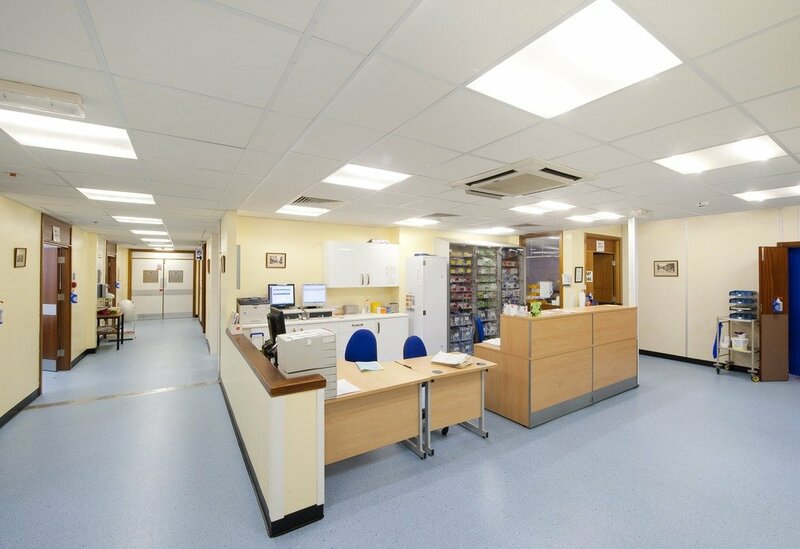 The Manchester-based lighting specialist has completed numerous lighting refurbishments for the NHS as well as the private health care sector. They recently completed an installation in North Devon District Hospital in Barnstaple, which is part of the North Devon Healthcare Trust (NDHT). There MHA Lighting replaced traditional 72 watt fluorescents with their unique 4000 Kelvin Tilite 20 and 30 watt LED units in wards, corridors and reception areas. The high colour rendering of 4000 Kelvin is precisely the colour the NHS requires to provide perfect light quality for examining patients or the cleanliness of the facilities. In rooms for medical attention and in areas where colour inspection take place a colour of at least 4000k (neutral) is specified as it depicts skin pallor at its true colour. Tom added: “MHA’s patented LED technology is unique. “Unlike other LED technologies, the light is not shone directly out. It is shone sideways and reflected out in a uniformly distributed manner. “This achieves the photometric performance of traditional lamps whilst offering all of the benefits of LED in terms of energy and financial savings. “Every year, the Trust was consuming large amounts of electricity on lighting using up 127910 KW/H per annum and emitting 70 Tonnes of C02 in the specified areas. 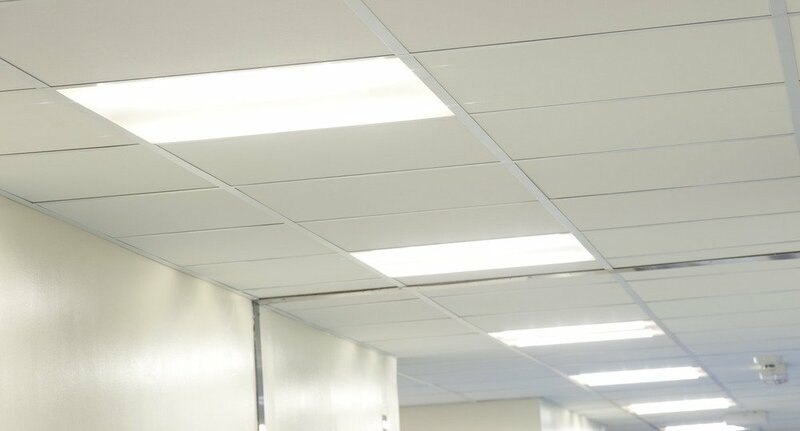 MHA Lighting also developed a bespoke dimming solution for NDHT to allow lights to be dimmed down to 5%. This was fundamental for the Trust to create a more pleasant and healing environment where patients and staff are in control of ward lighting levels. Moses Warburton, re-development manager of NDHT, said: “NDHT already has an enviable standard on carbon-reduction and this is part of our continuing commitment to reduce our carbon footprint. “With the new lighting system we have made significant savings to our energy bills and of course those savings will be ploughed back into clinical care. “This new lighting system from MHA has really made a difference to patients too. “It has created a much better atmosphere for our patients and staff. Even light and less flicker is a huge improvement for those patients with sight problems.